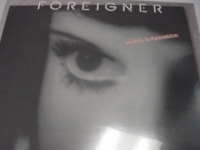 Classic Analog LPs - items 350 to 375 Shop MyMusicFix!! 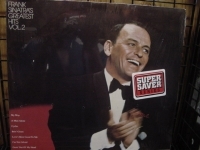 Whether you're looking to upgrade your selection or replace a used copy with a factory sealed piece, these Out Of Print Collectors LPs may be your last chance. Many of the listed titles were re-mastered by audiophile companies such as MFSL and DCC, both of which may be found here at mymusicfix. Don't miss your chance to be one of the last people in the world to upgrade your collection! Classic Analog LP Pressing with small cut-out. Tracks include: "Strange Way" "Sweet And Sour" "Wrong Side Of Town" "Count Your Blessings" "Get You Back" "Anymore" "Baby" "Goodbye, I Love You" "Sweet Ann" "Winds Of Change". Classic Analog LP Pressing with small cut-out. Tracks Include: "Love That Got Away" "Headed For A Fall" "Only Time Will Tell" "Laugh Or Cry" "Stardust" "If You Only Knew" "Some Things Never Change" "Business Is Business" "Leave It Alone" "Understow". 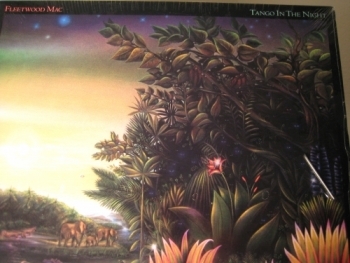 "Fleetwood Mac, Blues Jam At Chess - 180 Gram Double LP"
"Fleetwood Mac, Tango In The Night"
FLEETWOOD MAC - TANGO IN THE NIGHT . Here is your last chance to own the original pressing with all of the colored LP JACKET SLEEVE included. 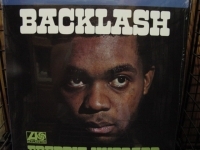 Out of Print FACTORY SEALED Analog LP with small cutout on jacket but contains all the original LP picture sleeve LP insert. analog vinyl pressing - the way music was meant to be heard. Out of Print forever!! 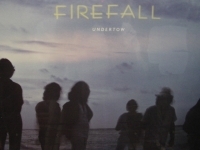 What a delicious dish of melodic rock and pop! Thanks to the long shadow cast by the group's blockbuster Rumours, this 1987 effort contains plenty of inventively catchy tunes, with a quirky sonic edge that gives the songs added sonic and emotional depth. Lindsey Buckingham's eccentric, vaguely menacing "Big Love" is a standout, as is Christine McVie's brightly bittersweet "Little Lies," along with such dark-horse winners as "Seven Wonders," "Caroline," "Mystified," and Stevie Nicks's typically mystical "Welcome to the Room ... Sara." 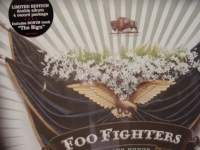 "Flora Purim, Butterfly Dreams - CURRENTLY SOLD OUT"
"FM Original Soundtrack, Boston, Boz Scaggs, Steely Dan, Queen & more (2 LPs)"
"FM, The Original Movie Soundtrack"
"Foo Fighters, In Your Honor (4 LPs)"
Classic Analog LP Pressing. 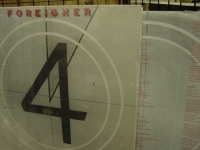 Limited Edition Double Album 4 Record Package. 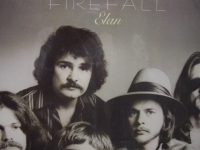 Includes Bonus Tracks. 2 LPs Electric. 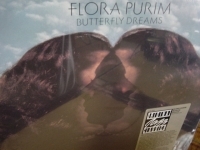 2 LPs Acoustic. Tracks Include: "In Your Honor" "No Way Back" "Best of You" "DOA" "Hell" "The Last Song" "Free Me" "Resolve" "The Deepest Blues Are Black" "End Over End" "Still" "What If I Do?" "Miracle" "Another Round" "Friend of a Friend" "Over and Out" "On the Mend" "Virginia Moon" "Cold Day in the Sun" "Razor." Classic Analog LP Pressing. 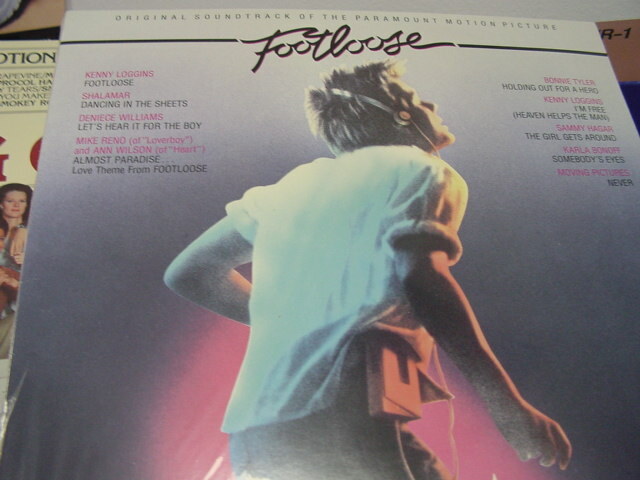 Tracks Include: "Kenny Loggins-Footloose" "Shalamar-Dancing In The Sheets" "Deniece Williams-Let's Hear It For The Boy" "Mike Reno(Of Loverboy)And Ann Wilson(Of Heart)-Almost Paradise" "Bonnie Tyler-Holding Out For A Hero" "Kenny Loggins-I'm Free(Heaven Helps The Man)" "Sammy Hagar-The Girl Gets Around" "Karla Bonoff-Somebody's Eyes" "Moving Pictures-Never". 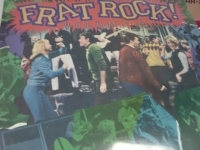 Classic Analog Out Of Print LP Pressing. Tracks Include: "Heart Turns To Stone" "Can't Wait" "Say You Will" "I Don't Want To Live Without You" "Counting Every Minute" "Inside Information" "The Beat Of My Heart" "Face To Face" "Out Of The Blue" "A Night To Remember". 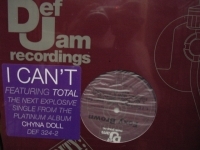 "Foxy Brown, I Can't/ My Life/ Ride (12" 45 Singles"
Factory Sealed 45 Speed 180 Gram Limited Edition Analog Virgin Vinyl. The nicest thing you can do for your stylus and ears. The way music was meant to be heard. Out of Print forever! "Foxy Brown, I Need A Man"
"Frank Sinatra, Greatest Hits Volume 2"
Classic Analog LP Pressing, An 11-song collection of The Chairman's best songs from his late-60's/early-70's career. 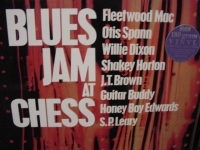 Features "My Way" as well as Little Anthony's "Goin' Out Of My Head" and George Harrison's "Something". 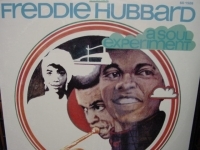 This is not a new re-issue but a stash from vaults. Other Tracks Include: "A Man Alone" "Cycles" "Bein' Green" "Love's Been Good To Me" "I'm Not Afraid" "What's Now Is Now" "Star!" "The September Of My Years"
"Frank Zappa, Strictly Commercial: The Best Of (2 LPs - SOLD OUT)"
Classic Analog LP Pressing "Rare #'d Edition"with small cut-out hole in cover. 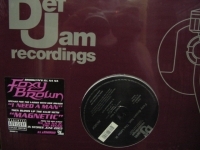 Tracks Include: "Peaches En Regalia" "Don't Eat The Yellow Snow" "Dancin' Fool" "San Ber'dino" "Let's Make The Water Turn Black" "Dirty Love" "My Guitar Wants To Kill Your Mama" "Cosmik Debris" "Trouble Every Day" "Disco Boy" "Bobby Brown Goes Down" "I'm The Slime" "Joe's Garage" "Fine Girl" "Planet Of The Baritone Woman" "Sexual Harassment In The Workplace" "Tell Me You Love Me" "Montana" "Valley Girl" "Be In My Video" "Muffin Man". 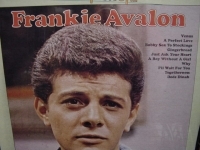 "Frankie Avalon, The Pick Of"
Classic Analog LP Pressing. Frankie Avalon had 24 charted hit singles between 1958 and 1963 for the Chancellor label, including seven double-sided hits recorded by the former child prodigy trumpet player [Paul Whiteman's Teen Club TV show out of Philadelphia. Tracks Include: "Venus" "A Perfect Love" "Bobby Sox To Stockings" "Gingerbread" "Just Ask Your Heart" "A Boy Without A Girl" "Why" "I'll Wait For You" "Togetherness" "Dede Dinah"
"Frankie Lymon & The Teenagers, The Best Of"
Classic Analog Out Of Print LP Pressing. 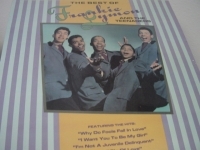 Tracks Include: "Why Do Fools Fall In Love" "I Want You To Be My Girl" "I Not A Know It All" "Who Can Explain?" "I Promise To Remember" "The ABC's Of Love" "Share" "I'm Not a Juvenile Delinquent" "Baby,Baby" "Paper Castles" "Teenage Love" "Out In The Cold Again" "Goody Goody" "Creation Of Love". 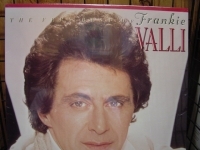 "Frankie Valli, The Very Best Of"
Classic Analog LP Pressing w/ small cut out in cover. Tracks Include: "Passion For Paris" "My Eyes Adored You" "Swearin' To God" "Grease" "Our Day Will Come" "Can't Take My Eyes Off You" "To Give The Reason I Live" "You're Gonna Hurt Yourself" "The Sun Ain't Gonna Shine (Any More)" "You're Ready Now"
"Frat Rock, Vol. 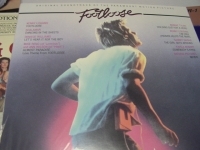 3 (Trashmen, Guess Who, Del Shannon & more)"
Classic Analog LP Pressing. Tracks Include: "Surfin' Bird" "Do You Want To Dance" "Shakin' All Over" "Liar,Liar" "Dirty Water" "Barbara Ann" "Land Of 1000 Dances" "Whittier Blvd." "What'd I Say(Part 1)" "Shake A Tail Feather" "The Jolly Green Giant" "Johnny B. Goode". 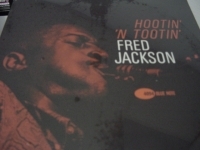 "Fred Jackson, Hootin' N' Tootin' "
"Freddie Hubbard, A Soul Experiment"
Classic Analog LP Pressing. 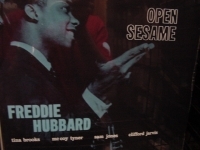 Produced by the famed Blue Note label, this album is an "open sesame" for two doors: 1 for the display of talent from Hubbard's trumpet play, 2 because of the outstanding band compiled to play with him! 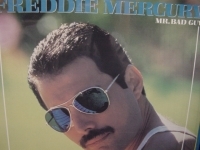 Tracks Include: "Open Sesame" "But Beautiful" "Gypsy Blue" "All Or Nothing At All" "One Mint Julep" "Hub's Nub"
"Freddie Mercury, Mr. Bad Guy"
Classic Analog LP Pressing. Tracks Include: "Let's Turn It On" "Made In Heaven" "I Was Born To Love You" "Foolin' Around" "Your Kind Of Love" "Mr. Bad Guy" "Man Made Paradise" "There Must Be More To Life Than This" "Living On My Own" "My Love Is Dangerous" "Love Me Like There's No Tomorrow".